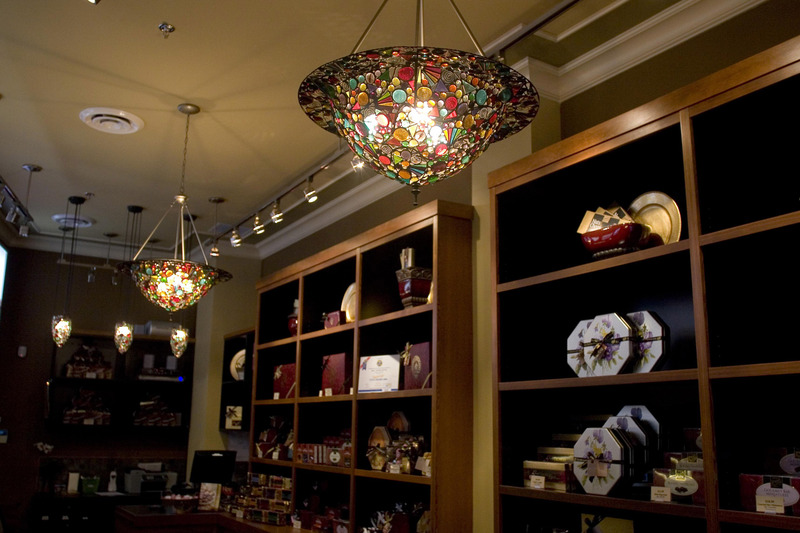 Rogers' Chocolates has been adorning their sweet shops with Loris Dawn's illuminated art since it opened it's second outlet in Victoria, B.C. in 1998. Consequently every new Rogers' outlet since has been decorated using the titillating bright candy-like colours used in these unique designs. 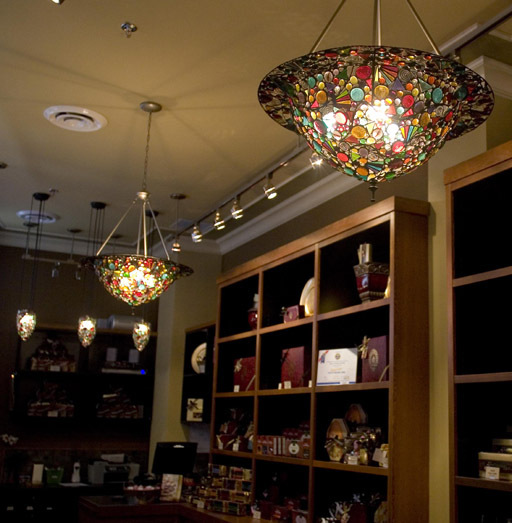 Rogers' Chocolate Gas Towne, Vancouver, B.C.